There are two locals on the ballots – Tampa Bay third baseman Evan Longoria (Rio Hondo College) and New York Mets catcher Rod Barajas (Santa Fe High School). Don’t forget to vote for the hometown guys when you head to the park. Here’s their progress this season as well as the area’s other big four. If I omitted anyone local, please feel free to list them here. 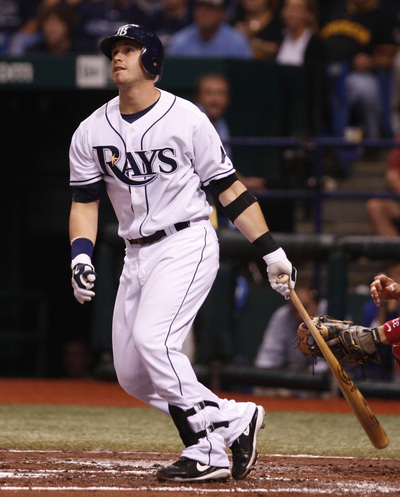 Longoria – .297 batting average, 3 homers and 13 RBIs in 17 games. Barajas – .196 batting average, 3 homers and 8 RBIs in 15 games. Colorado Rockies reliever Randy Flores (El Rancho) – 1-0 and a 0.00 ERA. Pitched 4.0 innings over 8 games while allowing three hits. San Diego Padres reliever Cesar Ramos (El Rancho) – 0-0 and a 3.86 ERA. Pitched in 2.1 innings over 6 games and has allowed one earned run on one hit. Chicago White Sox infielder Mark Kotsay (Santa Fe) – .138 batting average, 1 homer and 2 RBIs in 29 at-bats over 10 games. Cleveland Indians reliever Anthony Reyes (California) – Is currently on the 60-day disabled list recovering from Tommy John surgery and hopes to return for the second half of the season. What year did Barajas graduate from SF? And did he attend college or sign out of high school? who cares? they are not from St. Paul so we won’t be voting for them. SP has enough players signing. Barajas was class of 93″ with Kotsay, I believe he went on to play @ cerritos then he was drafted. Hi! Sorry that i’m asking here – what cms is it? WordPress, Movabletype? Can’t find info anywhere.